WooCommerce and Shopify are two of the most popular platforms for creating online stores. Both have advantages and disadvantages, and choosing between them isn’t always an easy task. In this article, we’ll take a look at both systems and help answer the question of which platform should you choose to build your online store? Here’s a quick overview of each platform and their features. WooCommerce is the most popular eCommerce plugin for WordPress, which is the most popular CMS. It’s an eCommerce management platform system. You can sell physical or virtual products, and create a Point of Sale store using your own hardware. It provides email notifications and reports. It’s free and it’s compatible with most, if not all, WordPress themes. Many WordPress themes include special features for WooCommerce. If you need it to do something that isn’t doesn’t do out of the box you can add it with plugins or create your own code. It does not include hosting, security, or backups, so you’ll need to do your own site maintenance. It doesn’t have its own payment gateway, but it is compatible with many payment systems including PayPal, Stripe, and lots more. Resources include the blog, training for store owners, training for developers, developer’s tools, etc. There are tons of tutorials online. Shopify is a subscription-based all-in-one platform with website, blog, and store with unlimited bandwidth. It includes hundreds of themes to choose from and customize. Manage unlimited products, and track sales (depending on the plan you choose). Sell physical or digital products, offer discounts, gift cards, manage refunds, etc. It includes abandoned cart recovery, flexible shipping rates, automatic taxes, etc. It includes Shopify payments and shipping, or you can use external options. Sell online, in marketplaces, on social media, and through Point of Sale. It includes drop shipping options, order fulfillment, email templates, free shipping, etc. The higher-level subscriptions include analytics. You can purchase Point of Sale hardware from Shopify or use your own. You can manage your store from the mobile app. Resources include guides, podcast, forums, free tools, free stock photos, Shopify Academy, and more. WooCommerce itself is free, but you still have to have a domain name (starting around $15 per year), hosting (starting around $8 per month), and an SSL certificate (around $70 per year). Some hosts provide a WooCommerce plan that includes SSL for around $12 per month. Themes range from free to several hundred dollars. The WooCommerce Storefront theme is free and has several child themes available for $39. 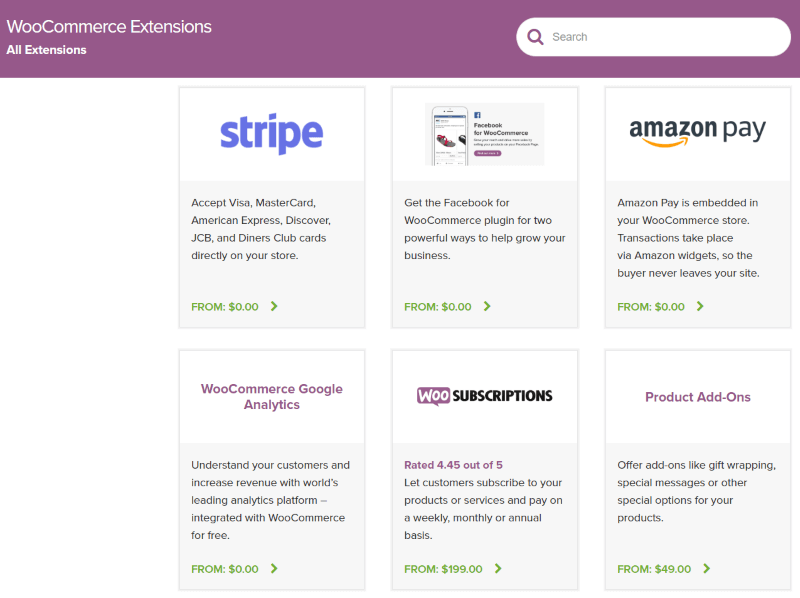 If you want to expand WooCommerce you’ll have to purchase add-ons. The price of hosting will increase as your store grows, but it usually isn’t drastic. There are three plans available ranging from $29 per month to $299 per month. They include the domain name, hosting, SSL, 24/7 support, and various features depending on the plan you choose. It includes both free and premium themes, which range from $140-180. If you use Shopify payments there isn’t a transaction fee. For external payments, fee range from 0.5-2.0%. The price will increase as your store grows, which can be a drastic increase. WooCommerce is a plugin that’s added to your WordPress installation. 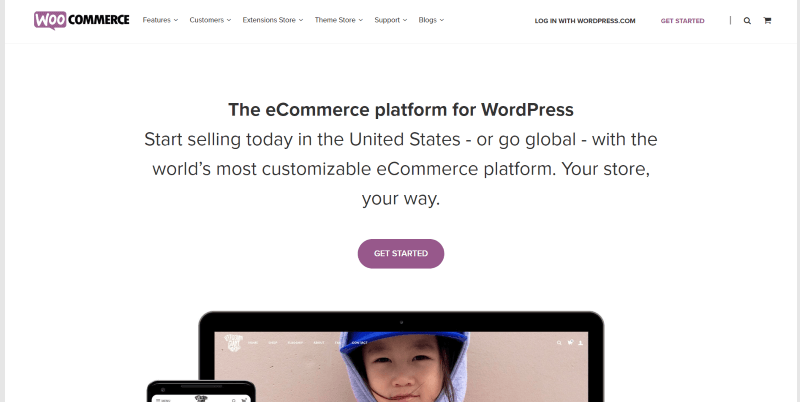 Creating your store requires you to already have WordPress. 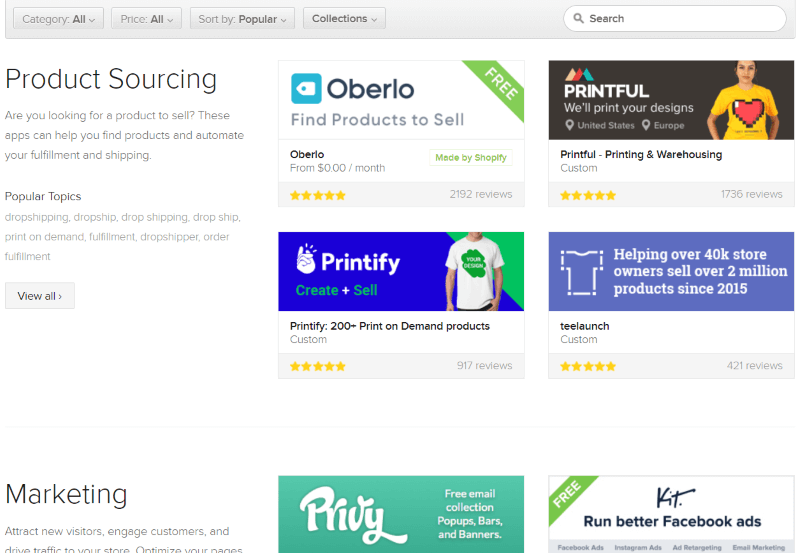 Creating the store requires you to install the plugin, create your pages, and create or import your product listings. Creating products works in a similar way as creating posts or pages. If you’re creating the website at this time, you’ll also need the domain, hosting, and a theme to get started. You’ll also have to manage your WordPress site, including updates, security, and backups. You’ll have to install WooCommerce and perform all of the setup yourself including pages such as the shop, terms and conditions, checkout, shopping cart, etc., using WooCommerce shortcodes that you’ll find on their website. Shopify can’t be added to your existing website or blog on a different platform. When you create a Shopify store you’re creating a brand new website. Creating the store involves selecting a subscription plan, choosing a domain name, selecting a theme, and adding your information and creating or importing your product listings. All of the necessary pages for your shopping cart and checkout are created automatically for you. Pages, posts, and products are created with the same intuitive editor. You can run it just as a store or include a website and blog. You still need to create the pages and blog for the store. WooCommerce has several payment options built in. You can use direct bank transfers, checks, cash on delivery, or PayPal. Each will need to be enabled and set up. You’ll also need a merchant account such as PayPal, Stripe, or similar. PayPal and Stripe are built-in by default. It’s best to offer multiple payment methods, so I recommend using both merchant accounts. Other payment gateways include Amazon Pay, Authorize, PayFast, Square, FirstData, WorldPay, Sage Pay, Chase, and lots more. Each of the payment methods has their own costs per transaction, which averages 2.9% + 0.30. You can also include purchase orders, coupons, virtual, and physical products, memberships, gift cards, etc. The payment gateways include a built-in gateway powered by Stripe called Shopify Payments. This payment system does not charge a fee. If you use third-party payment gateways you’ll be charged 2% unless you have the $299 plan, and then it’s 0.5%. It has 100’s of payment gateways available, such as PayPal, Stripe, Amazon Payments, Authorize, FirstData, 2CheckOut, and more. Many of them can be added for free. It also has credit card fees, which start at 2.9% and 0.30 cents per transaction. It includes gift cards. The Point of Sale system, which includes a card reader, is great for running a brick and mortar store or taking payments offline. Here’s a look at their expandability. There are currently 291 extensions available from WooCommerce and thousands of plugins in the plugin directory. They include enhancements, marketing, payments, product type, shipping, store management, and lots more. You can purchase them through the WooCommerce dashboard, on their website, or install free plugins from the WordPress plugin menu. Prices range from free to $250 with one year of updates. There are hundreds of add-ons to customize your Shopify store. 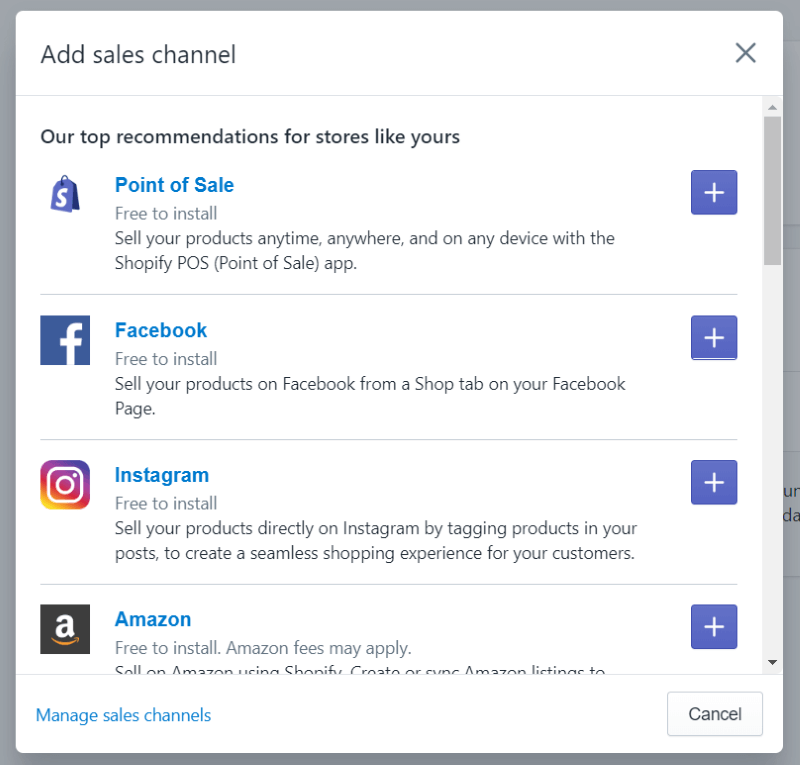 They include topics such as marketing, sales, social media, shipping, inventory, accounting, customer service, reporting, tools, and sales channels. Prices range from free to $130 per month. They’re rating by users to help you make choices. They can be added from within your dashboard. WooCommerce – the plugin is free. Since it integrates into WordPress your responsibilities and ownership fall back to your WordPress hosting plan. The overall cost is much lower than Shopify. It has more theme options, but the individual product pages aren’t as easily stylable to match your theme. Unless you hire someone you’ll have to install everything for your WordPress site yourself. It’s easy to use if you’re accustomed to WordPress. 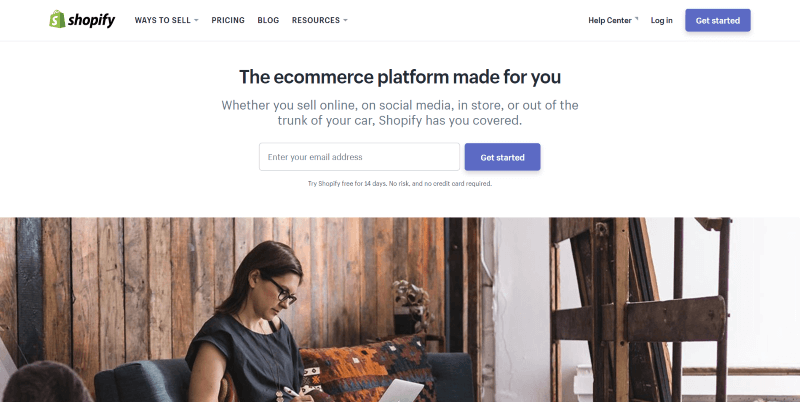 Shopify – the platform is subscription-based. You don’t own the domain name and you can’t move the store to another host. You don’t have to install anything yourself to get your store online. Everything you need is available already and you can expand it. The lower-end plans are limited. To get the most out of your store you’ll at least need the $79 per month plan which ads gift cards, reports, and Point of Sale features. 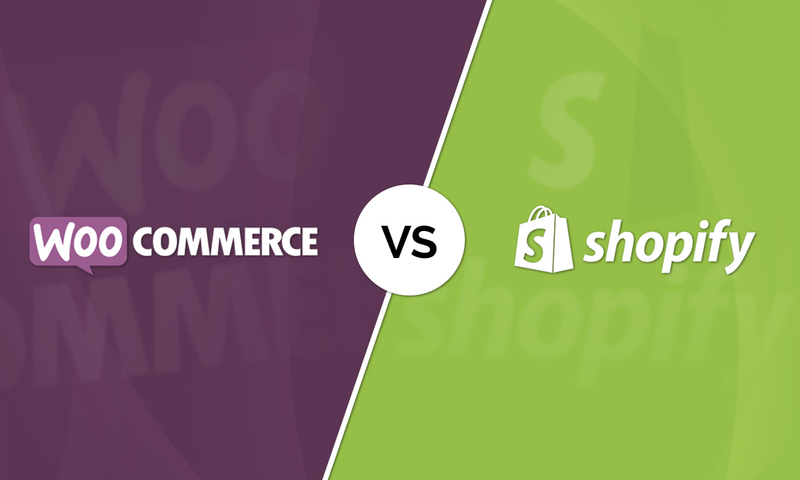 Which do you prefer between WooCommerce and Shopify? Let us know in the comments. Thanks for the interesting comparison. I just launched a new client’s project combining DIVI/WP and Shopify by using the buybutton functionality. That gave me my preferred Design options by using Divi and an easy to maintain shop backend within shopify. Hi Chris… I checked out the site and it is AMAZING! Do you have a blog where I can read up on how you accomplished this? This is like the ULTIMATE store and I LOVE that it’s Divi with checkout via Shopify!! Hi Randy, first of all, thanks for the comparison. I think WooCommerce is a good option to make an e-commerce website. Also, there have several other options available like Magento, oscommerce and so on.